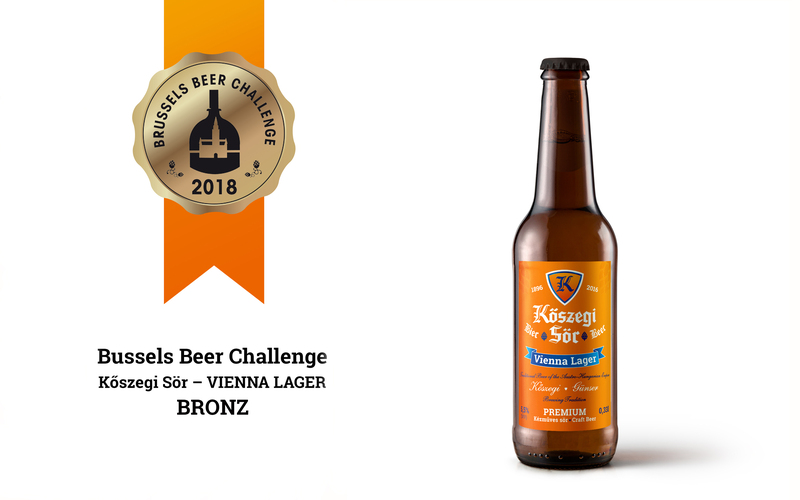 Kőszegi Beer - VIENNA LAGER is a rare, nearly forgotten type of lager beer. This variety of beer has all but disappeared from European markets, possibly due to the dissolution of the Austro-Hungarian Monarchy. The type has only survived until now thanks to a curious twist of fate which took it to (Central) America, primarily Mexico. 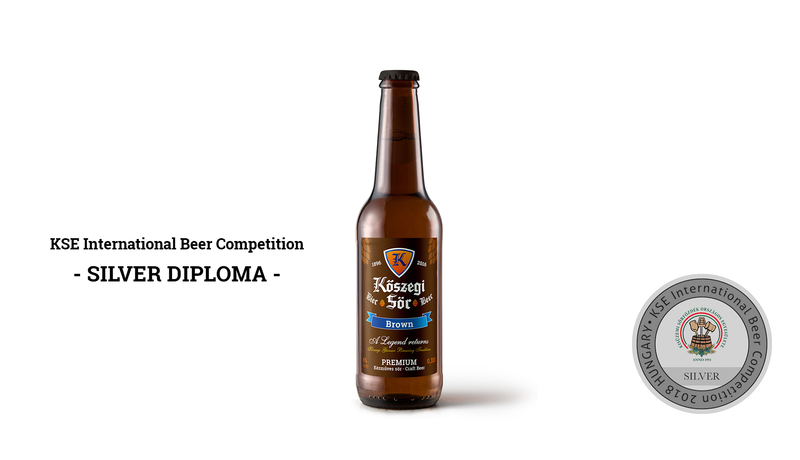 This beer specialty is only sold in Europe sporadically, in very few countries, typically as a product of smaller craft beer breweries. 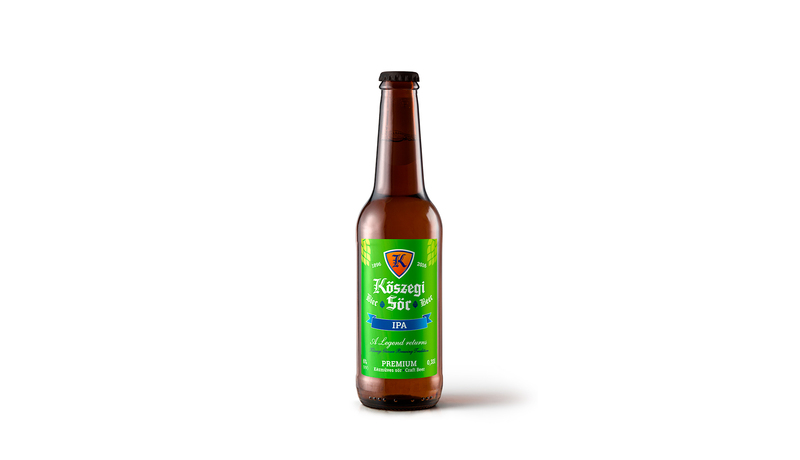 Kőszegi Beer’s Vienna Lager aspires to recreate the rare historical flavor once brewed in the Kőszeg brewery in the form of a craft beer. Kőszegi Beer’s Vienna Lager is a particularly “chatty” craft beer - with an alcohol content of 5.5%, it’s rather refreshing, lacks bitterness and tastes faintly of caramel. A perfect gift thanks to its tasteful design, it also represents a practical solution to transporting and storing the Beer. One crate holds 6 bottles of beer. Sándor Gabriel, internationally renowned master confectioner (winner of multiple international awards, producer of premium products for the Hungarian Diplomatic Service) and owner of the Gabriel Manufaktúra has created a unique dessert made with Kőszegi Beer. 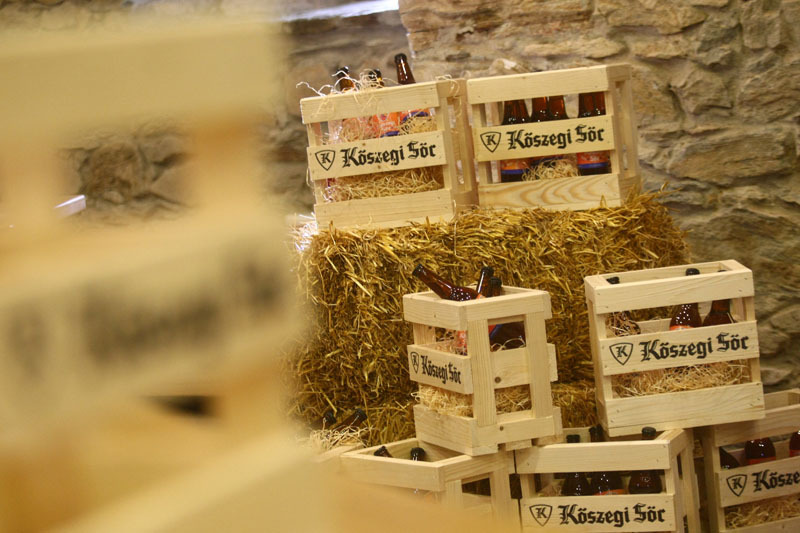 The premium beer chocolate was christened Beer Bon (a nod to the elegant French truffles called bonbons) and is only available from the Kőszeg-based confectionery shop Csokiszeg. "Specialist say bonbon making is the cream of confectionary. It is a great task for every master to create the harmony of sweet and bitter. It needs creativity, imagination, knowledge about raw materials and arranging a proper technology order - then precisely following it. Experts say, that each handmade bonbon is a masterpiece, which should not be compared with any factory products. A bonbon’s flavour as well as its shape should be enjoyed, as everything that is good in life, while consuming it in small pieces, memorizing its perfume. To explore the taste released from the filling is a wonderful thing, since the surprise can be experienced not only in the shape, but also together with the content, as a whole. 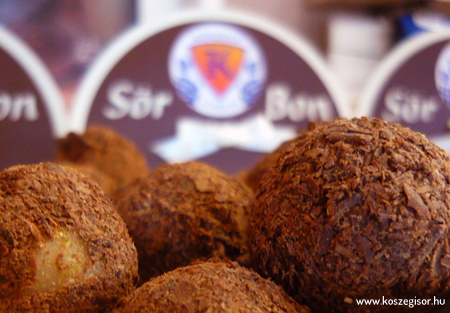 The handmade bonbons are made of real chocolate, the most delicious and best quality raw materials. They do not contain any chemical preservatives or other vegetable fat than first class cocoa butter. This meal aspires to pair the unique flavors of Kőszeg and the surrounding area (the Hungarian Alps and Burgenland) with our beer. 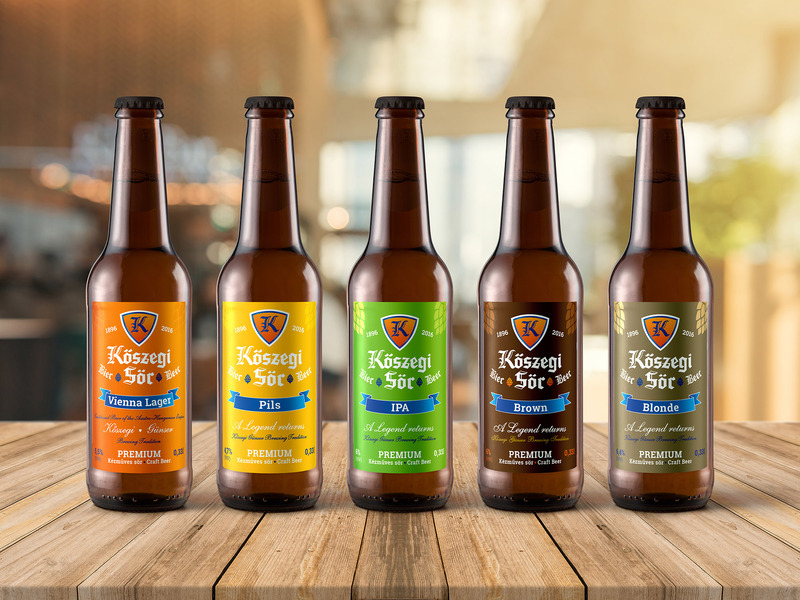 We aimed to incorporate the taste of chestnut and grape into the dish, while also ensuring a perfect fit with Kőszeg Beer in keeping with the region’s traditional character. We settled on the idea of a pork knuckle baked in beer as the meal’s central element - one that does not, however, overpower the special sides: sauerkraut puree and chestnut potato gratin. 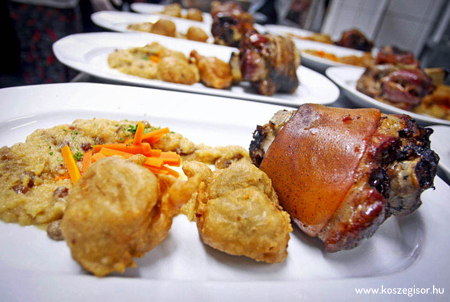 This way, the dish echoes the soft, fresh and candid nature of the beer amidst exciting textures. When great beer meets delicious food: dig in and enjoy! We have created the Kőszegi Beer Pretzel as the ideal beer snack to accompany Kőszegi Beer in pubs and brasseries - or even on hikes in the Kőszeg Mountains, the Hungarian Alps. 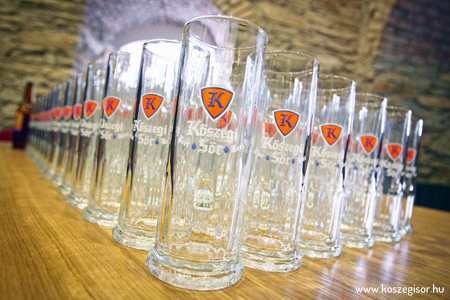 To enjoy Kőszegi Beer to its fullest, we recommend drinking it from its own unique mug. We studied countless mugs to finally select the best fit, allowing you to truly enjoy the taste of beer.